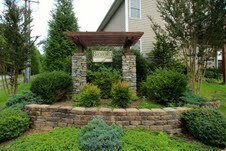 This 2 bedroom, 2 bath modern townhome in Bedford Place of downtown Brevard, North Carolina is especially a nice end unit on a full basement. You will enjoy the back and rear side green areas plus additional parking. As entering the home from a level entry, coming into the family room to the dining room you will love the vaulted ceilings. You will appreciate the open kitchen, workspace and breakfast nook that opens to the upper level deck. The Master suite is located on the mail level with a half bath. Also offered on the main level is the single car garage. The lower level offers a den, bedroom, full bath, patio and a 21x14 stor-expansion. 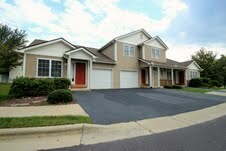 This is truly one of the most elegant townhomes in Brevard. Known as "The Land of the Waterfalls" a name derived from the many waterfalls in the nearby Pisgah National Forest, Brevard is a nature lover's paradise. State and National forests cover more than one-third of Transylvania County, providing endless possibilities for hiking, backpacking, camping, and rock climbing. The French Broad and Davidson Rivers are popular for fishing, kayaking, canoeing and tubing. It's this combination of rural natural scenic beauty and urban convenience that make Brevard such a special place to live. The world renowned Brevard Music Center, home to outstanding guest musicians and artists during the summer months, offers concerts several times during the week. Numerous festivals fill Brevard's streets throughout the year, contributing to the sense of community that is so evident in this unique mountain town.